I have received several questions about the last post on a corner pressure the Pittsburgh Steelers ran last season. The full post on the pressure is here. First let me say I think sending a corner from a college hash is highly effective because of the the short run. Off a high school hash I imagine the even shorter run will get pressure very quickly. As for the coverage vs. 3x1. 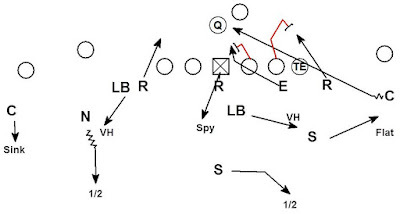 Many coaches are electing to back up certain zone pressures with a Cover 2 fire zone concept vs. 2x2 and convert the coverage to a Cover 3 fire zone vs. 3x1 formations. I cannot say with 100% certainty that is how the Steelers and Coach Butler handle 3x1. 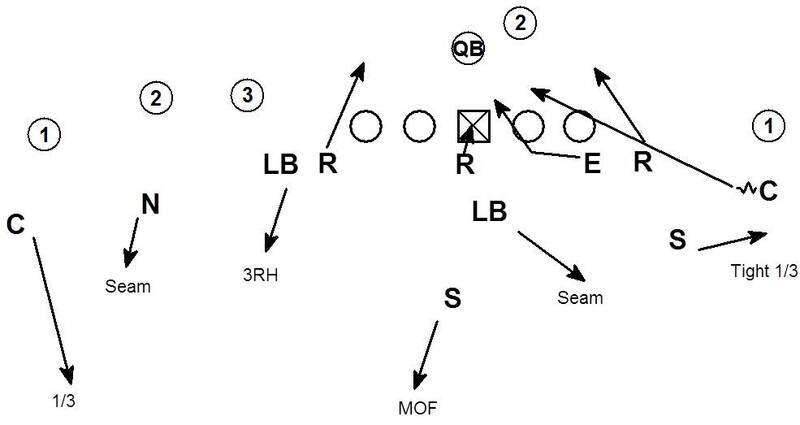 If the coverage was to check to 3 under 3 deep this is how it would look. 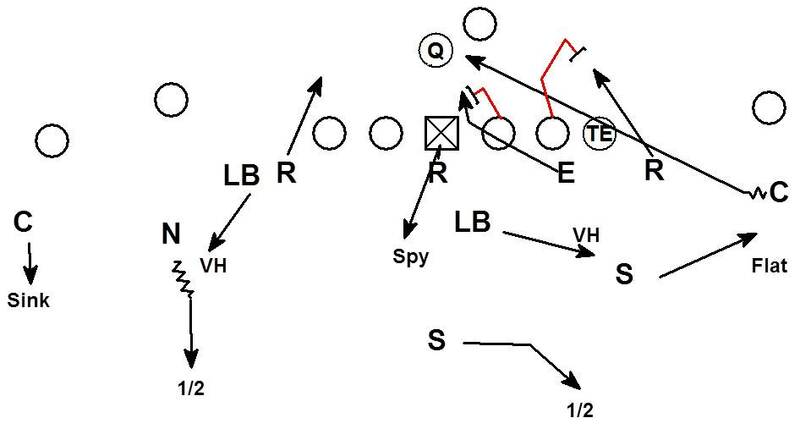 The alignment of the coverage players makes this coverage check very manageable. 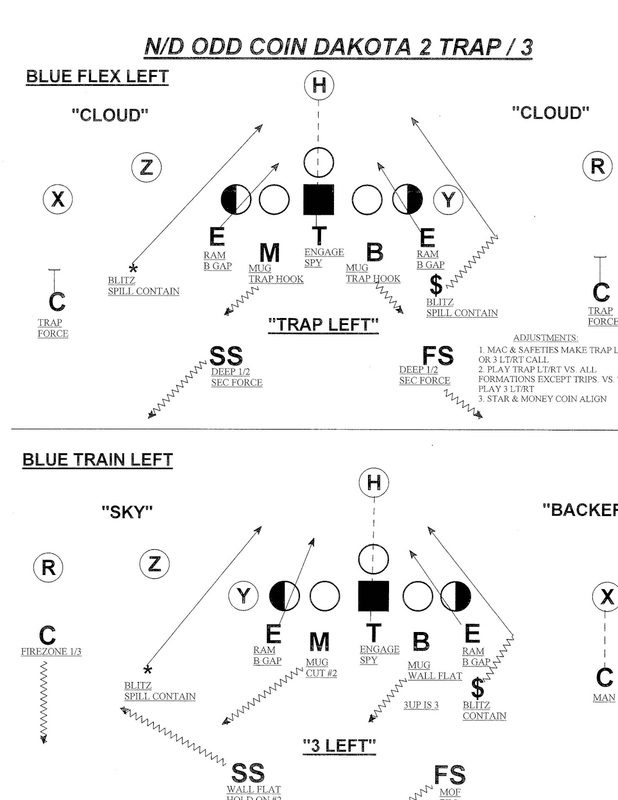 Cover 2/Cover 3 fire zones can be found in several playbooks if you are looking into these concepts in your off-season research. 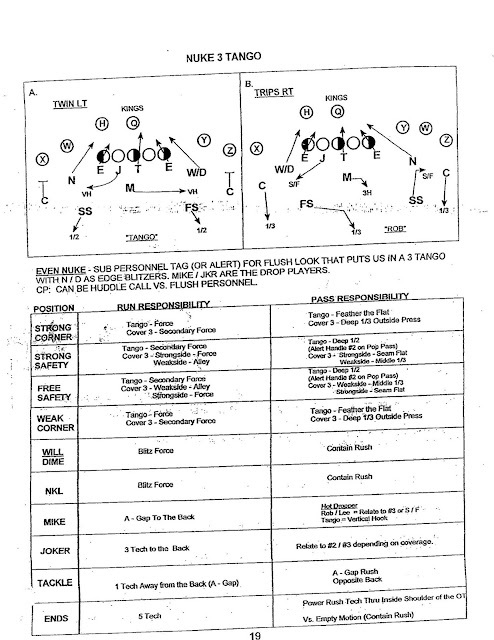 Here is an example from Rex Ryan's NY Jet playbook. The coverage call is Read Tracy. 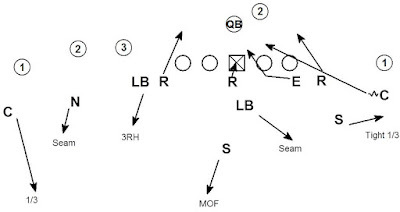 Vs. 2x2 play read (cover 2 read concept). Vs. 3x1 check the coverage to Tracy (Cover 3). Here is another example from the 2009 NY Giants playbook. The coverage is 3 Tango. The coverage call is 3 unless the formation is 2x2 then the coverage is checked to Tango (Cover 2). This is the same concept with a slightly different system of communication. 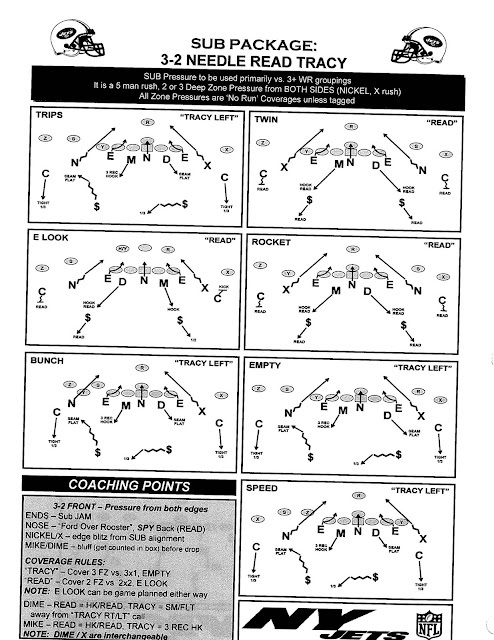 Lastly here is an example from Coach Saban at Alabama. The call is Trap vs. 2x2 or 3 vs. 3x1.